Kent captain Tammy Beaumont is one of three names shortlisted for the NatWest England Women’s Player of the Summer award. The accolade has been voted for by the current squad, with the winner receiving the honour at the NatWest Professional Cricketers’ Association Awards which takes place at the Roundhouse, Camden next Thursday October 4. Beaumont, who won the award in 2016, has carried on her fantastic form from the 2017 World Cup to cement her place as one of the most consistent batters in the world game. Increasingly adaptable, the ball-striking which marked her out as a fine young talent has now evolved into an all-round game that has seen her play some magnificent knocks this summer. 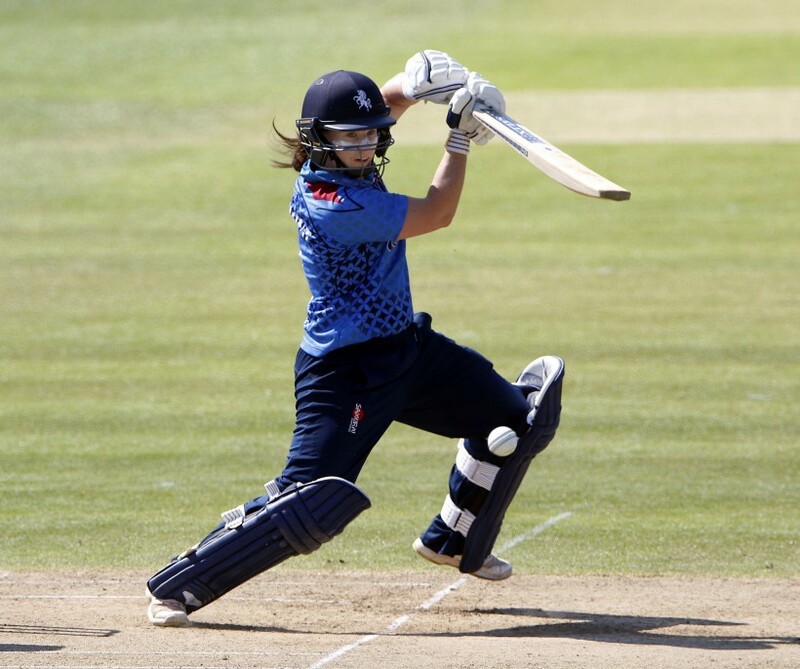 She was Player of the Series in the Royal London ODI Series against South Africa and scored her maiden International T20 hundred against South Africa in a record-breaking win at Taunton.